If the siding on your home is starting to look old and worn, your home could be losing value. Keeping the exterior of your home clean and in good working order is a good way to not only keep the value of your home high, but also works to enhance its curb appeal and overall performance. When it comes time to look at repairing or replacing the siding on your home, there are a slew of different options available to you, so how is a homeowner to know which one to choose? When it comes to siding options for your home, vinyl is consistently one of the most popular choices among homeowners across the country, and that's no coincidence. If you are looking at siding replacement options, here are 3 of the top reasons why vinyl could be your siding solution of choice. Vinyl siding can mimic the look of almost any other siding material and comes with the added benefit of not requiring as much upkeep or maintenance as some of the more expensive siding options. Vinyl siding comes in a wide variety of different colors, patterns, and profiles so you can be assured that the right option is out there to suit your specific aesthetic needs and tastes. 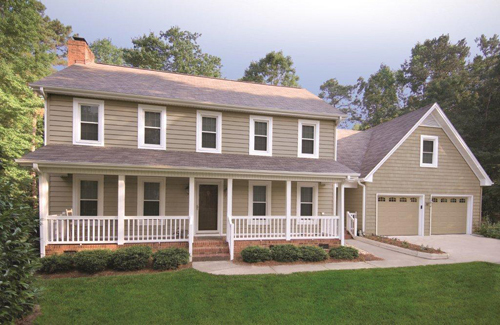 Whether you are looking for shingle, brick, stone, or even shake styles, your vinyl siding contractor has you covered. In terms of maintenance, vinyl is quite possibly the lowest maintenance form of siding on the market today. While you will need to clean it occasionally to help maintain its look and function, you won't have to do any painting, scraping, or sanding ever again. Most vinyl siding is also impact resistant, resistant to scratching, and guaranteed never to peel or chip. The siding option on the exterior of your home can have a bigger impact on the energy efficiency of your home than many homeowners realize. Making sure you have an energy efficient option installed on your home can save you a lot of money over the year in your heating and cooling costs. The reason vinyl siding can help keep your home so comfortable is because it reduces thermal bridging. By reducing the amount of heat transfer between the interior and exterior of your home, this means your home will stay warmer in the winter, and cooler in the summer. With insulated vinyl siding, the insulation is form-fitted to the back of the vinyl, creating one solid piece. One of the biggest advantages that vinyl siding has over other siding options is that it has the ability to stand up to the elements for a long time without ever losing its shape, color, or appearance. Because many vinyl siding options are tested to withstand hurricane force winds in excess of 200 mph, they are made to be highly impact and weather resistant. In addition to driving wind, rain, and hail, vinyl siding is also manufactured in such a way as to make it highly resistant to temperature extremes, meaning there will be no warping or peeling due to temperature fluctuations. 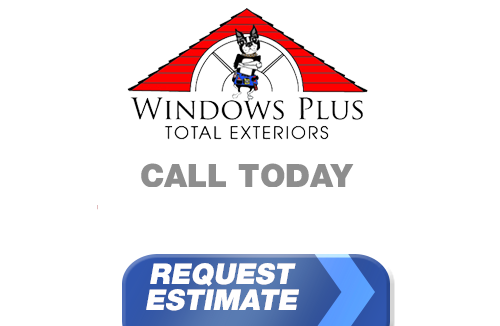 As icing on the cake, most vinyl siding replacements come with a lifetime warrant, so you can rest assured that your vinyl siding will be around for many years to come. If you are looking for a siding option that has it all, vinyl might be just the replacement you are looking for.